I ended up in Dublin, Ireland after I got a great deal on airfare coming back to the US from Europe over the summer. I really have always wanted to visit Ireland, but it would be a lie to say it was high on the list of places I was hoping to end my whirlwind summer vacation in. However, an under-$400 flight from Dublin back to the US at the peak of tourist season in Europe is not something to pass up, so my week of drinking wine and eating cheese in Italy ended with Guinness and rain – and I could not have been happier! I only spent one full day in Dublin but instantly fell in love with the city. It’s lively and friendly with so much to do and see at every direction, but in a way that pulls you into the action, rather than keeping you at a distance like a visitor observing from the outside. If you only have a day to spend in Ireland’s capital, I highly recommend you check out the following two tours. You’ll get a great feel for the city, learn a lot about the history and the culture, touch on some of the main attractions Dublin is known for, and still have time to head out on the town for a great meal and a pint (or a few!) at one of the many fabulous pubs. I think one of the very best ways to start a trip in any new city is a good walking tour. Most are free (with compensation based on tips so plan accordingly with cash) and do an excellent job at orienting you to the city. A great company to check out for these types of tours is Sandemans. They operate in almost 20 cities and have lots of different types of tours including pub crawls and topic specific crawls in addition to the free walking tour. 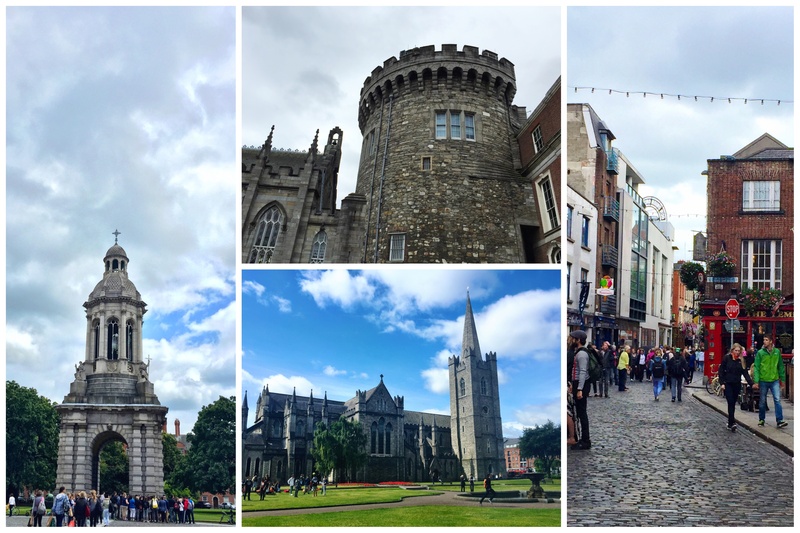 The New Dublin Free Tour is 3 hours of history, stories, and most of the typical Dublin things-to-see like Trinity College, Dublin Castle, St. Patrick’s Cathedral, and Temple Bar (all pictured below). I registered for the 10:00am tour, easily found the starting location with the directions from my confirmation email, and finished right in time for a full Irish lunch at O’Neills. After the walking tour, I headed straight to the Guinness Storehouse for their world famous tour. I had no idea just how big of a deal the Storehouse was until I got to Dublin. Being from Denver, CO, I’ve done my fair share of brewery tours and am very familiar with the brewing process. Back home, the tours are generally the same with one or two small differentiating factors between breweries. 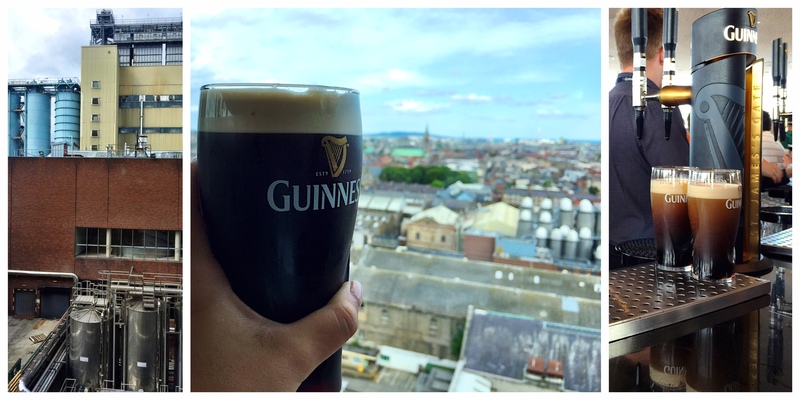 I was honestly most excited to tour the Guinness Storehouse just to get to The Gravity Bar at the top, but I was absolutely blown away by the entire experience and cannot recommend it enough! It turns out I’m not alone in that feeling. The Guinness Storehouse was recently named Europe’s top tourist attraction. And yes, that means it beat out the Eiffel Tower, the Roman Collosseum, and Buckingham Palace in London! With this amount of attention, you’d think it would have a miles long line to get into and be swarming with people, but that is not the case! When I arrived around 2pm, a decent line had formed at the entrance. PRO TIP: book your tickets ahead of time online to bypass the entrance line. In my case, “ahead of time” meant booking on my phone right outside of the building using their free wifi. Within a couple of minutes, I had a confirmation email on my phone and was able to skip the line and head straight in! Once through the door, you can take your email up to an electronic kiosk, enter your code, and print your tickets. I went from booking tickets to being on the tour in a span of about 10 minutes. The Storehouse is the closest thing to Willy Wonka’s Chocolate Factory that I’ve ever seen in real life. Every direction you look there is something new to see or smell or watch. The artistry and care that goes into brewing Guinness and the history of the company is painted through a mix of video presentations, well-designed plaques and signage, and collections of materials that have been used throughout the life of the brewery. The Tasting Experience will teach you to appreciate and detect each note of flavor in a pint of “the black stuff” and if you desire, the Guinness Academy will teach you to pour the perfect pint (something they take very seriously). And finally, even if you skipped the entire Storehouse and headed straight to The Gravity Bar on top, your trip would still be worth it, solely for the best 360 degree views of the city. After spending most of the day touring, I was ready to go off and explore on my own. I headed back to the Temple Bar area to find a spot to hopefully catch some live music. It turns out this is easy to do, and I’m sure it would be harder to end up in a bad bar than track down a good one – all that I went to were so lively and fun! The Temple Bar was the most crowded bar that I spent time in, but it’s definitely worth it. 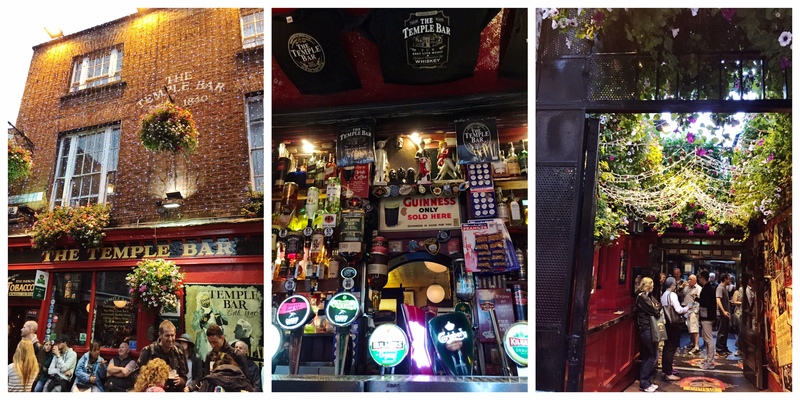 However, if you want to get away from the craziness of the wall-to-wall people but still want a similar experience as the Temple Bar, check out The Porterhouse Temple Bar just down the street. This is only one of The Porterhouse’s locations, and the only one I visited. It felt just as big as The Temple Bar, with multiple stories and a massive selection of beer. They have their own house brews along with an extensive list of every type of beer you could imagine. I arrived there right at the end of the dinner hour which ended up being just in time to see the band set up and begin to play. The stage was on one of the middle levels, kind of embedded in the stairwell so you could hear it from all stories of the building. It seemed that all of the tables were reserved for larger parties of people ordering food, so I would either plan on getting a reservation to eat there or be comfortable searching for an open spot at the bar or standing. 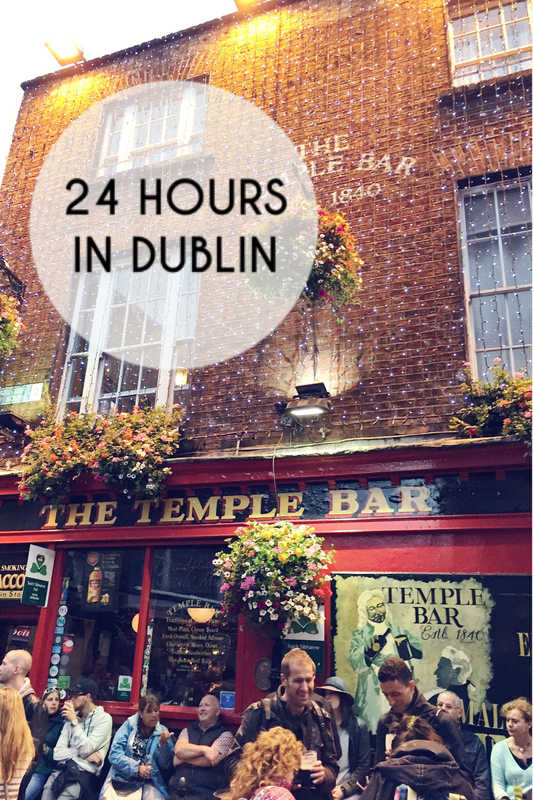 I felt like I was able to get a great introduction to Dublin in the 24 hours I had there, but that’s definitely all it was – I can’t wait to go back one day, and to get out of the city and explore the rest of Ireland!